The Taractrocera species are easily recognised by the aberrant antennal club and the absence of an apiculus - a characteristic that is typical of the Hesperiidae butterflies. The species Taractrocera ardonia lamia was recorded as "has not been taken again in Singapore during the present century". Taractrocera ardonia lamia is dark brown above with creamy white markings. 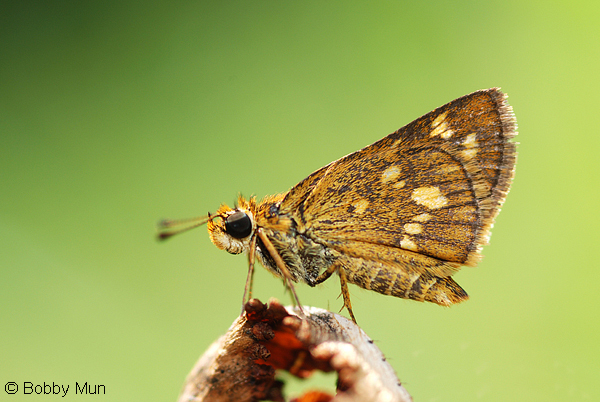 It is a small butterfly, with a wingspan of about 10-11 mm. 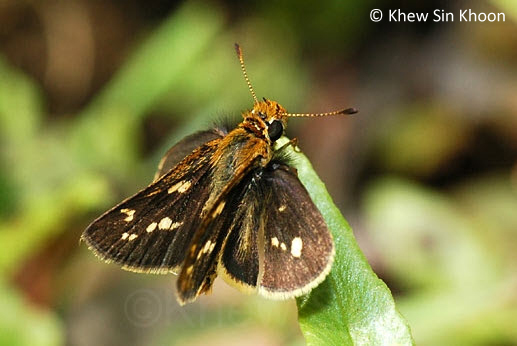 The spotting of this Skipper here can therefore be classified as a re-discovery of the species in Singapore. The species has been observed in at least 3-4 locations within the nature reserves, usually flying at low level in open grassy and sunlit areas. The species flies in the usual rapid Skipper flight and was found in the company of Potanthus species. 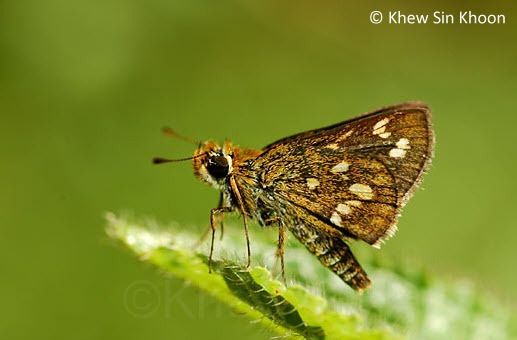 It stops with its hindwings open flat, whilst the forewings are held at an angle as shown in the photos. This is quite similar to the habits of the Potanthus species.